여러분, 안녕하세요? 웰컴투 아메리카의 박형권입니다. 오늘도 리오라 앤더슨이 함께 합니다. 제가 얼마 전에 공항에 다녀왔는데요, 신혼여행을 가는 신혼 부부들이 공항에 상당히 많이 보이더군요. 한국에서는 주로 예식장에서 결혼식을 올리는데요, 미국에서는 교회에서 주로 결혼식을 올리죠? Usually people get married in their church. 왜 하필이면 라스베거스로 가는 걸까요? And Las Vegas, Nevada has the most wedding chapels anywhere in the United States. 라스베거스에 웨딩채플이라는 것이 많은데요, 문자 그대로 해석하면 결혼 전용 교회이지요. A wedding chapel in the United States is somewhere that just that's all they do. 웨딩채플은 일반 교회와 성당과는 다른 곳이지요. Las Vegas is very famous for the wedding chapels. 일반 교회에서 정식으로 하는 결혼식이 아니라서 시간이 많이 걸리지 않겠죠? Well, it just depends on which place you go to. There's actually a drive through wedding chapel in Las Vegas. 드라이브스루라는 것은 차를 타고 지나간다는 ‘drive through’라는 말에서 온 것인데요, 햄버거 같은 즉석 음식을 자동차를 타고 가면서 주문하는 것을 말하지요. 그 외에도 자동차를 타고가면서 물건을 주문하고 살 수 있는 곳을 말합니다. You don't even have to get out of you car to get married. 자동차를 타고 가면서 주문하는 햄버거나 치킨 같은 패스트푸드 점처럼, 웨딩채플도 차에 탄 채 결혼식을 할 수 있는 드라이브스루 결혼전문교회가 있군요. There’s even a drive thru wedding chapel in Las Vegas. Now if you are an Elvis fan, you may prefer to go to the chapel, “the Elvis chapel”. People dress up like Elvis and other characters, and they’re with you when you get married at the Elvis Wedding Chapel. At the Elvis Wedding Chapel, there are folks who impersonate Elvis Presley, dress up like Elvis and even sing like Elvis. There's many Elvis impersonators is in the United States. That's for sure. Well, a wedding chapel usually has a sign outside that says it's available for weddings and that's really all they do at that chapel. It's just some place that holds weddings all the time. 1964년에 “The Dixie Cups”라는 3인조 여성 가수들이 불러 크게 히트했던 “The Chapel of Love”라는 노래가 흐르고 있습니다. “봄이 왔어요. 하늘은 파랗고, 새들은 모두 노래해요. 우리도 새들처럼, 오늘이 바로 그 날이에요. 우리는 “I do.”라고 결혼서약을 할 겁니다. 우리는 더 이상 결코 외롭지 않을 겁니다.”라는 내용의 노래입니다. 사람들은 왜 웨딩채플을 이용하는 걸까요? I think people go to Las Vegas to get married because it's easy. If you get married at a wedding hall with your family and all your relatives and have a big fancy wedding, it cost a lot of money. 그리고 준비해야 할 일도 많고, 어떤 때면 신경을 써야 할 일이 수없이 많지요. So if you go to Las Vegas, it's kind of the traditional place to run away and get married. 그러니까 집안에서 결혼을 반대하거나, 다른 여러 가지 이유로 두 사람만 살짝 결혼하려면 라스베거스 같은 곳에서 한다는 것이군요. 이런 것을 도둑장가 간다고 하고, 도둑결혼이라고 하던가요? And then you don't have to really wait a long time. You don't have to wait to get a license or anything like that. 네바다 주는 결혼하는 것도 쉽고, 이혼하는 절차도 쉽다고 합니다. 그래서 많은 사람들이 라스베거스나 ‘Reno’와 같은 곳을 찾는다고 하지요. It's got something to do with the state laws. And it's quicker to get married, and it's quicker to get divorced. Now, I want to go back to this Elvis wedding. You know, Elvis was famous for Las Vegas. He had a very famous song called ‘Viva Las Vegas’. ‘viva’는 “만세!” “야호!”와 같은 말이지요? During the ceremony, in the Elvis wedding package, he will sing Viva Las Vegas. 진짜 엘비스는 거의 32년 전에 세상을 떠났으니까 엘비스를 흉내내는 사람들이 노래를 불러주는 것이지요. There's even a drive through wedding chapel in Las Vegas. 웰컴투아메리카, 오늘은 결혼식 전용 교회인 웨딩채플에 대한 이야기를 나눠봤습니다. 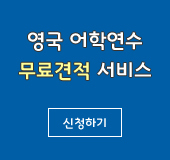 지금까지 저 박형권이었고요, 리오라 앤드슨과 함께 했습니다. 여러분, 다음 주 다시 찾아뵐 때까지 건강하시고 행복한 한 주일 보내시기 바랍니다. 안녕히 계십시오.